19,000 NYC homeless children, out of 1.6 million in the U.S. 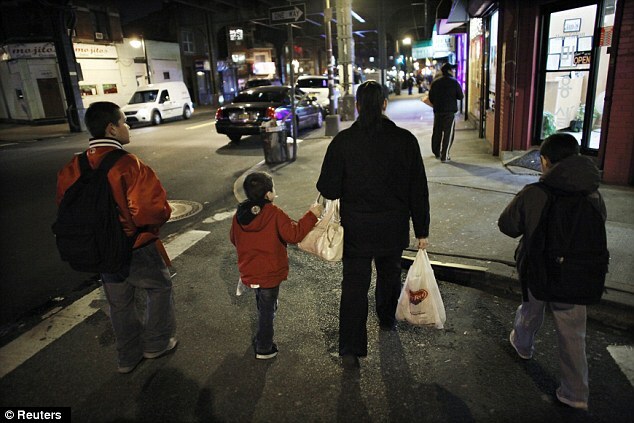 The economic crisis is leaving the most vulnerable population in New York City on the streets. New data shows that last week alone, over 19,000 children sought refuge in homeless shelters across the Big Apple, the most since the Great Depression of the 1930s. Nationally, there are 1.6 million children that are homeless in the U.S., though accurate data for those living on the streets is hard to come by. 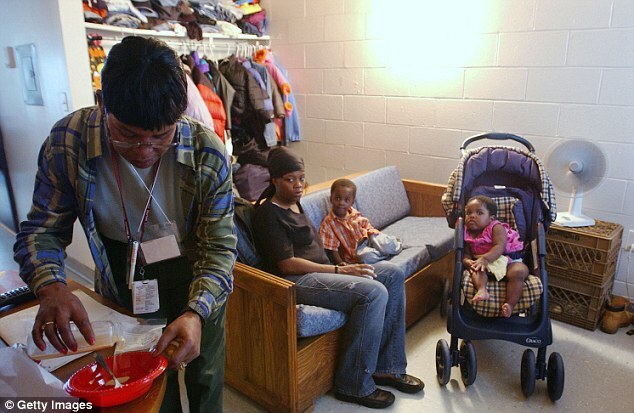 A total of 19,077 children were being housed in the city’s homeless shelters in addition to 26,097 adults – for a total of 45,174 total individuals, according to a report from the New York City Department of Homeless Services published on September 6. ‘Since just May, more than 2,000 children have become homeless,’ Ralph da Costa Nunez, CEO of the Institute for Children, Poverty, and Homelessness, told the Daily News about the 18 per cent increase compared to this time last year. ‘If the trend continues, we will surely see more than 20,000 children living in shelters by Christmas – a gift that nobody wants,’ he added. One 14-year-old who is homeless, told the Daily News that her mother’s poor health has kept their family from securing the money they need for housing. ‘It’s really hard on my sisters; they’re young, they have no childhood, they don’t sleep well. It’s not fair to them,’ Francheska Luciano said about her three younger siblings Shanely, 7, Yadeiliz, 4, and Mileishka, 2. The Lucianos, who came from Puerto Rico in 2006, have been shuffled around from shelters in the city. ‘The area where we are staying now is really bad. I can’t go outside because it’s so dangerous,’ she said. Though this week, New York City Mayor Michael Bloomberg stated that life in the city is better than it was four years ago, the number of homeless in New York City has steadily grown amidst the floundering U.S. economy. 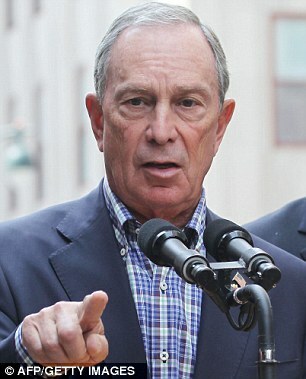 Figures show that in August 2012, 44,328 New Yorkers were homeless, compared to 32,674 in August 2008. ‘It’s clear that many more New Yorkers and many more children and families are experiencing homelessness,’ Patrick Markee, of the Coalition for the Homeless, told The Wall Street Journal. The economic crisis has been severe for the city, with federal data also showing that one in four New York children live in food insecure households. Food insecurity means a family lacks access to enough food, with parents having to trade-off paying for basic needs like rent or medical bills, instead of purchasing an adequate level of food for a household. ‘It is clear that food insecurity is an unfortunate reality among children, senior citizens and adults in all five boroughs,’ Joel Berg, the executive director of the New York City Coalition Against Hunger, said. ‘It is also clear that it is a very solvable problem,’ he added, in advocating for increased access to food stamps for New York residents.